My appreciation focuses on Ivan’s time at Belle Vue and the role Belle Vue played in his achievements and contribution to the sport. Please give us your appreciation, at Newcastle, Exeter, Hull or anywhere you saw him ride and were able to appreciate his talents. While I was born very close to where Ivan and his family lived, I went to school for my early years at St Johns School, Longsight. 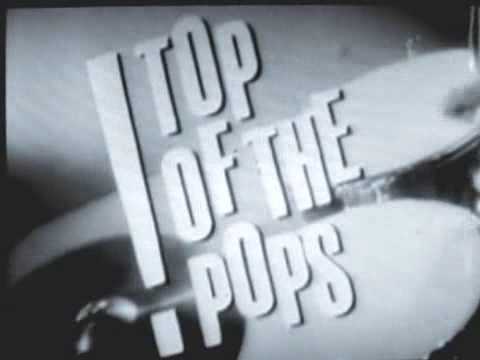 At the time Longsight was famous for two things; where the earliest editions of Top of the Pops were recorded from a converted church on Dickenson Road, and Belle Vue. In fact the Belle Vue Speedway entrance was visible from the house of one of my school friends. 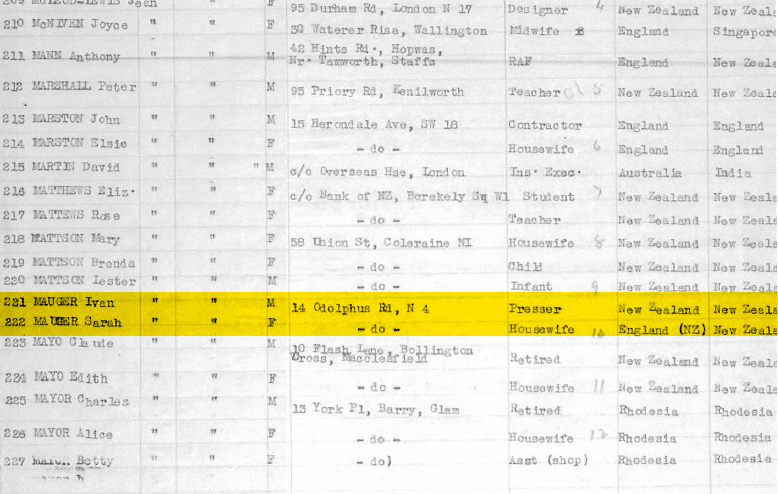 Belle Vue was part of the fabric. Everybody knew what took place there and everybody went. It was no surprise to find myself being taken to a speedway meeting at Belle Vue in September 1968 by our good friends and neighbours Malcolm Thompson and his son Andrew. But it wasn’t any old meeting. It was Belle Vue v Newcastle on 28 September 1968, just after Ivan had become world champion for the first time. As the four riders raced towards turn 3 at what appeared to me to be full speed, I could not work out how they could get round the bend and avoid catastrophe. My reaction was similar to the reaction of my friend David Selby who says that he was shaking as the riders got to the first bend of the first race he saw, and he still has the same reaction. As Newcastle’s number 1, Ivan won the first race I ever saw and I can visualise that race and recall my reaction to it as if it happened 5 minutes ago. The fact that the race was won by the world champion made it even more special and memorable. I couldn’t have had a better start. Not only was I able to witness Ivan on top form, but Ole Olsen was in the Newcastle team. The combined effect was that in that first meeting I was able to see two riders who won the world championship 9 times between them in the next 11 years. But that is not the place to start for my appreciation. It records Ivan and his young wife Raye arriving in England, both at a tender age, Ivan 17 and Raye, 16. It is hard to imagine the courage and determination of two such young people uprooting themselves and travelling right across the world to pursue a career in such an incredibly risky sport. With the soon to be world champion Barry Briggs in the team, it was difficult for Ivan to break into the Wimbledon team and establish a team place. 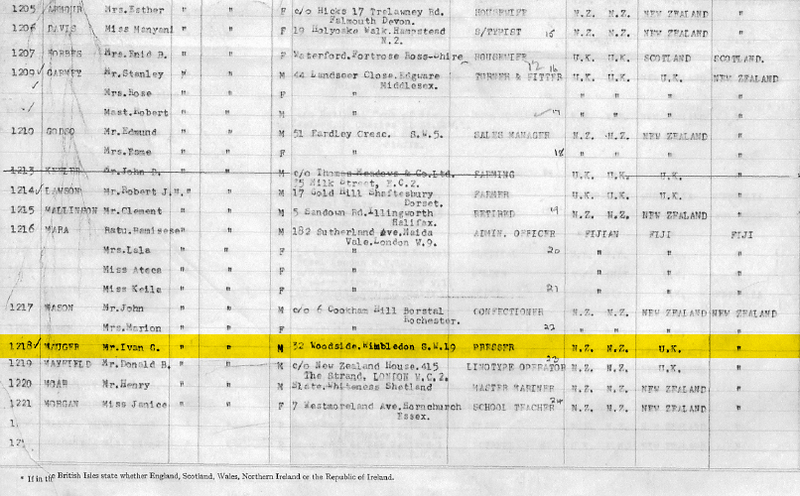 After two years, Ivan returned to New Zealand alone, his wife Raye having returned to New Zealand with their daughter Julie some time earlier. It is hard to imagine the difficulty of such separation. Ivan wrote to his wife every day and resolved never to be apart in the future. Ivan’s determination was not diminished. He wrote to many English promoters offering his services but only on the condition that his wife and children could accompany him. After 4 years of perseverance Mike Parker, the Manchester based Speedway promoter, offered Ivan a team place in his Newcastle team, accommodation in Manchester and sent tickets for Ivan and his family. It would be fair to say that his return to England caused a ripple. His rise to the top once afforded a team place at Newcastle was meteoric. No appreciation of Ivan could ever be complete without mention of his work with other riders. 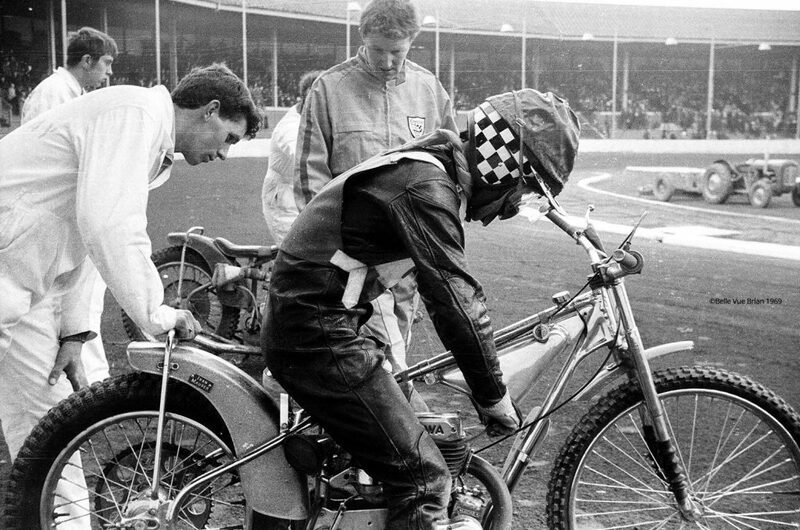 The seismic events taking place are not apparent from this innocent looking picture, which was taken at Belle Vue during the training school for a number of Danish riders organised by Mike Parker looking to add riders to his teams. 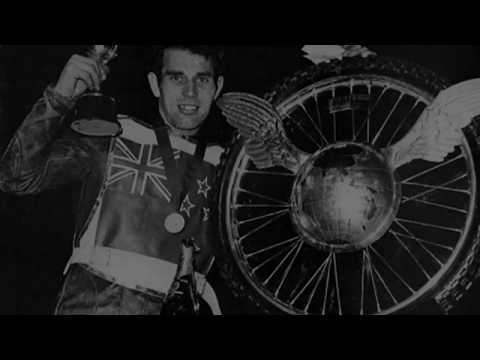 It records the first meeting between Ivan Mauger and Ole Olsen who between them won the world championship 9 times between 1968 – 1979. Ole became world champion for the first time just 4 years later in 1971. When he did he became Denmark’s first motorsport world champion. This was another meteoric rise for a rider whose machinery at the time the picture was taken was not the best and who appeared to have a front mudguard made from a cereal box. I have no doubt that Ole would have got to the top. We will never know but I have no doubt that his rise was accelerated by the generous assistance of Ivan. And to think that this seismic event in world speedway happened a couple of hundred yards from my school. I was hooked after seeing Ivan in my first meeting in September 1968 and was delighted when he joined the Belle Vue team for the 1969 season. At this stage my recollection was of Ivan not being like other Speedway riders. Of course the starting point for me was the fact that he was world champion and in the habit of winning what seemed to be everything. Coming from New Zealand sounded a bit more exotic than Preston, the unfamiliar accent, the tidy appearance, the clean fingernails, the yellow leathers, the gleaming Merc, the ever present mechanic and the immaculately prepared bikes. These features never changed but in time I began to appreciate Ivan’s riding style, complete control with what appeared to be a very light touch. The rudimentary nature of my father’s camera meant that opportunities to take pictures at Speedway meetings were limited. One of the best occasions was the only afternoon meeting of the year – the Good Friday season opener, in 1969 a challenge match against Halifax. I had been sitting in G stand and moved to the trackside to see if I could get a picture of Ivan. 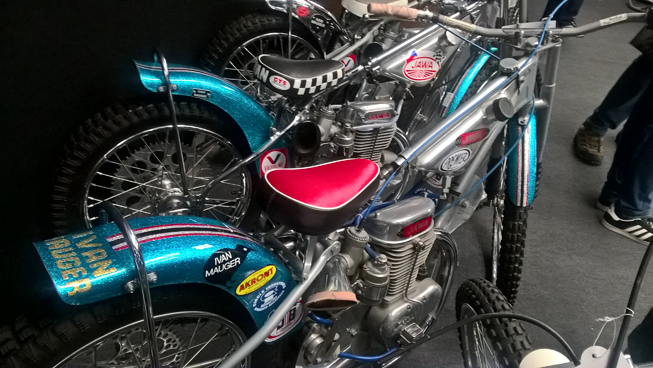 In no time at all out came a bike with the name ‘Ivan Mauger’ clearly visible on the rear mudguard. This meant that in a few seconds I was going to be within touching distance of the world champion. I knew that I would only have one chance to get a photograph and hoped that when I pressed the trigger I’d got it in focus and composed. I got the film developed and printed at a local camera shop as quickly as possible and was delighted with the picture when I finally got to see it. I was able to see Ivan race every weekend from 1969 to 1972. And what a season 1969 turned out to be for Ivan. I do not know of anyone before or since who has dominated in the way Ivan did in 1969. 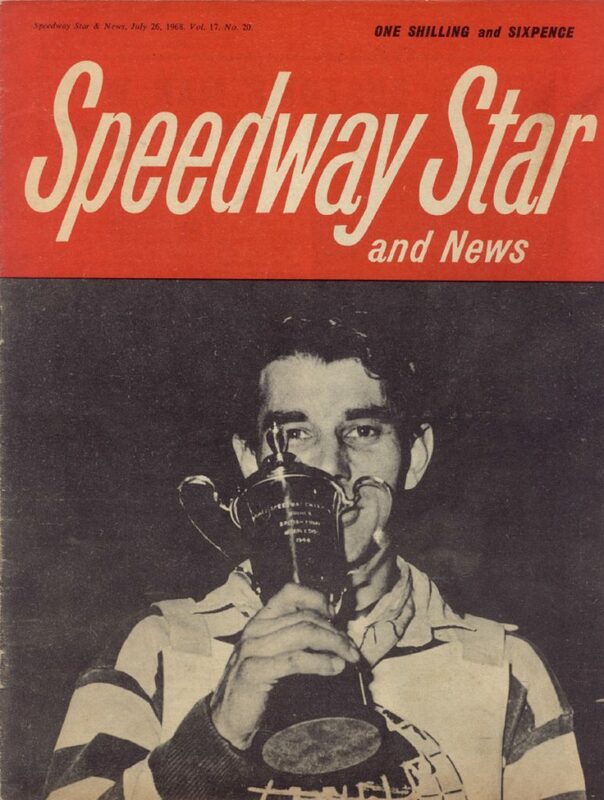 The season culminated in his second world championship win at Wembley in September 1969 which I was lucky enough to attend, a night made even more special when Soren Sjosten, another Belle Vue favourite, finished third. My mother said that she wished that I knew as much about my school work as I did about Speedway. I think that I was able to establish that I did. 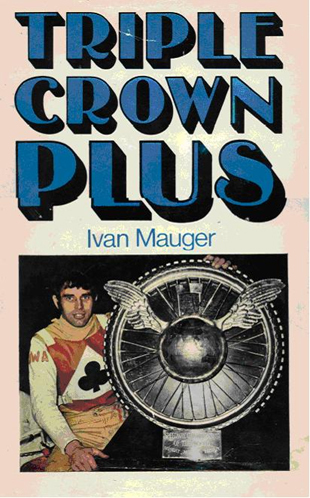 I was awarded a school prize in 1970 and chose Ivan’s biography ‘Triple Crown Plus’ for my prize and which I am now proud to say has been autographed by Ivan’s biographer and great friend Peter Oakes. It was difficult not to take Ivan’s performances for granted and I now look back and realise that we were spoiled. Of course it didn’t stop there and I was lucky enough to see Ivan win the world championship again at Wembley in 1972. It was during this time that I had my only meeting with Ivan. After one meeting I was able to get his autograph as he got out of his car at the Belle Vue Speedway office, no doubt to collect his race winnings. Stepping out of the white Mercedes complete with trailer and two bikes wearing the ever present red Bell Helmets jacket ‘Excuse me are you Ivan Mauger?’ was the best I could nervously come up with. The signature quickly followed and it was clear that Ivan was on the way somewhere and as I have read since, probably to get the sleeper train to make his way to Heathrow to fly out for a long track meeting in Germany on Sunday. On another occasion during the annual collection Ivan came into the G stand where I was sitting and passed the famous chequered helmet to me. By this point it was so full of money I could feel the helmet peak bend in my hand and I was terrified that I might have damaged the world champion’s crash helmet. Thankfully there appeared to be no adverse effects and he was back on the track in no time . While Ivan says that he did not go out for track records, he picked up a few on the way. 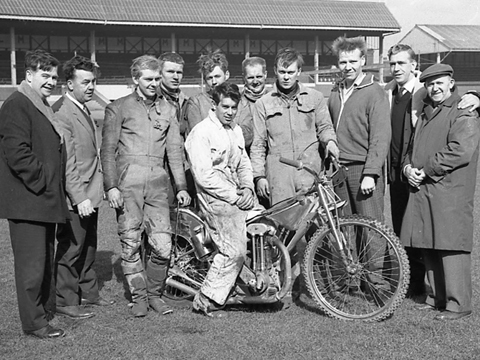 When Ivan joined Belle Vue the track record was 69.8 seconds having been set by Peter Craven in a match race with Barry Briggs on 5 April 1958. No-one was getting near it. There was a sharp intake of breath when Ivan recorded a heat win in 70 seconds on 17 May 1969 and when he won heat 1 of the British League Championship Final on 18 October 1969. 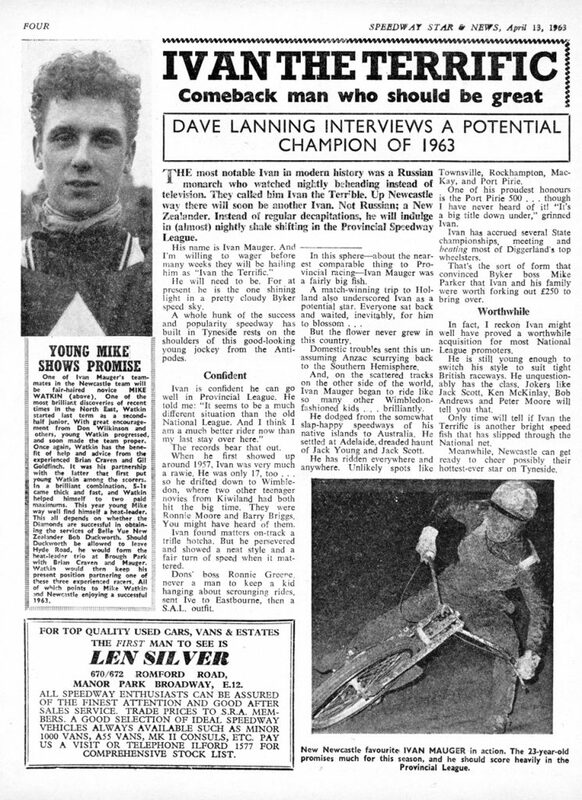 Another sharp intake of breath followed when he equaled the track record with a time of 69.8 in heat 1 on 24 October 1970 before he broke it with a time of 69.6 in heat 6 of the same Belle Vue v Wimbledon meeting, an event tinged with some sadness at the fact that Peter Craven’s 12½ year old track record had finally been broken. I was saddened by Ivan’s departure at the end of 1972 and looked forward to the more limited opportunities to see him ride. Living nearby it was difficult to ignore the van at the front of Ivan’s house in Woodford. It was not unusual to see Ivan driving around or to hear talk of him being somewhere in the area. One of my most vivid recollections is seeing Ivan driving in his Citroen estate just outside the Deanwater on Wilmslow Road, coming back from world final practice. The car was full of equipment. Ivan’s driving position looked cramped and uncomfortable and struck me as another example of the effort and sacrifice required. A few decades later I remembered reading that Ivan was conscientious about his correspondence because of his many letters to UK promoters as part of his attempt to return in the early 1960s. 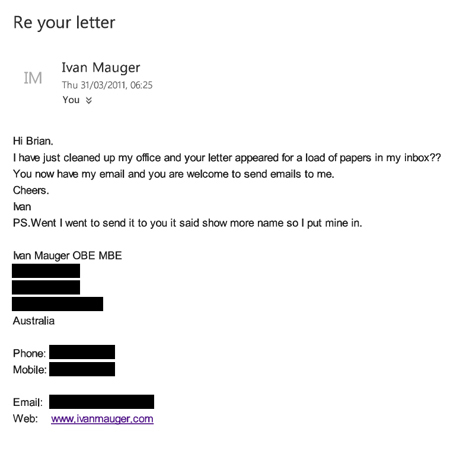 With that in mind I tracked Ivan down and wrote to him in in Australia following his retirement and was delighted to receive an e-mail from him. 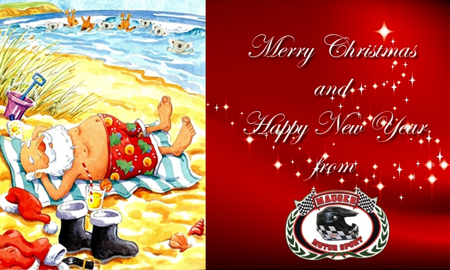 And I was delighted to receive the Christmas card that followed. The Aircraft factory across the road from Ivan’s family home on Chester Road closed in 2011. Planning Permission for residential development was granted in 2015 and a few years later building started. 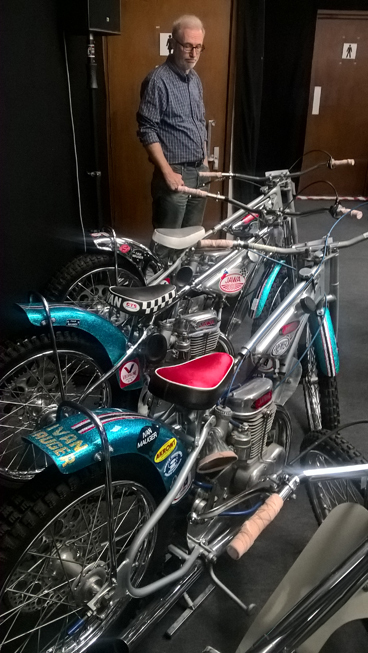 I then became aware of Bonhams Auction of Ivan’s bikes, trophies and memorabilia at Stafford in October 2017. 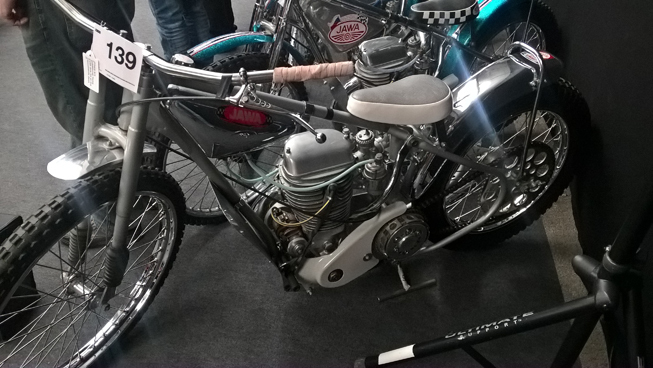 I was keen to see the bike that Ivan might have been riding for that first race I saw in September 1968. With my friend Glen Cable I was able to meet Ivan’s daughter Debbie with her husband Ian after the auction. The developer referred me to the Council and I sent the e-mail reproduced in the ‘starting point’ section. I was surprised and disappointed at the refusal of Stockport Metropolitan Borough Council to entertain the request until someone had been dead for 30 years. I could not accept this response. The reaction of Debbie and the family was the same as mine. And the Mauger Campaign was born.